What if we just trusted ourselves? – helping women with Lupus reclaim their health. 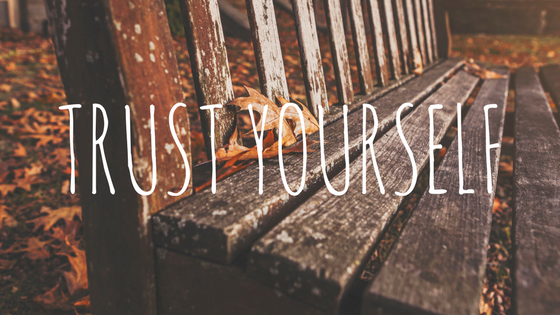 What if we just trusted ourselves? Stuff was a lot, and I was feeling really, really stressed. So I tried something different. I decided to just have faith in myself. I made a physical list so I wouldn’t have to try to hold all that stuff in my head, and then I just said, “I trust you.” And then every time I felt that familiar feeling of stress and being overwhelmed I would just repeat it to myself, “I trust you.” And you know what? It worked. While this was a new tactic for me, it’s not a new concept. In psychology, they call this reframing, changing how you perceive something so your experience of it changes. When I was feeling overwhelmed with all the to-dos, it was because I approaching them from a place where I felt inadequate to do it all. But that feeling of inadequacy was a false one. In my nearly 4 decades, I have tackled some pretty nasty to-dos. This was not my first rodeo or even my biggest. Next Post Take Your Power Back From the Comfort of Your Own Home!